If you want some entertainment for your guests that is a little different, a Opera Singer has the musical skill set to provide a great point of focus. They usually offer one or two forty five minute sets and will work with you to create a programme that is perfect for your party. They can be accompanied by their own musicians, or they can provide a solo show - whatever suits you is easy to organise. They can include ballads or popular songs too - the difference is the singer has the power and range to reach every corner of the room. To see an Opera Singer away from a formal theatre is a fantastic experience, and one that suits many celebrations, so be bold and go for something with a big sound to lift the roof at your party! Find out more about booking an Opera Singer. Find an Opera Singer for hire near you in minutes! Option 1. Enter your event location below & contact an Opera Singer directly! Option 2. Request multiple quotes from available Opera Singers Get Quotes! Option 3. Read information & advice on hiring Opera Singers Read Advice! Nessun Dorma, Toreador Song, Un bel di from Madame Butterfly, nothing gives you that overwhelming swell of emotion, or makes the hairs stand up on the back of your neck like these beautiful works of art. Particularly when they’re sung in a more private setting, by a phenomenally talented and rigorously trained Opera singer. There is a touch of the divine in the human voice when it has been developed to perform this way. Not only does the sound seem to melt the heart but many are surprised at its sheer power. Opera singers are trained to sing Bel Canto and can project their beautiful voices right to the back of a vast opera house, without the need for any form of amplification. In human voice terms, the power of their voice is like comparing a piano to a church organ. There is little in the entertainment world that can create the impact of having an Opera Singer at your party of event. They add that wonderful air of sophistication and elegance, charm and even gravitas to every occasion from parties and corporate events, to weddings, funerals and christenings. Our hugely diverse range of singers also has something to suit every taste from church music and hymns, classical songs, operatic arias, operetta, war songs, film music, popular crossover and musical theatre. Below we have created a quick guide to deciding if an Opera Singer is right for your event, and what to expect from your act. For far more detailed information including how to book, how much space you’ll need and the real nitty-gritty of making sure your event booking goes perfectly, then take a look at our Complete Guide to Live Singers. IS AN OPERA SINGER RIGHT FOR MY EVENT? From a practical perspective, Opera Singers are a great choice for many different types of occasion, both because their act requires little space to set up, and can take place in most venues, and also because they have such a wide repertoire. 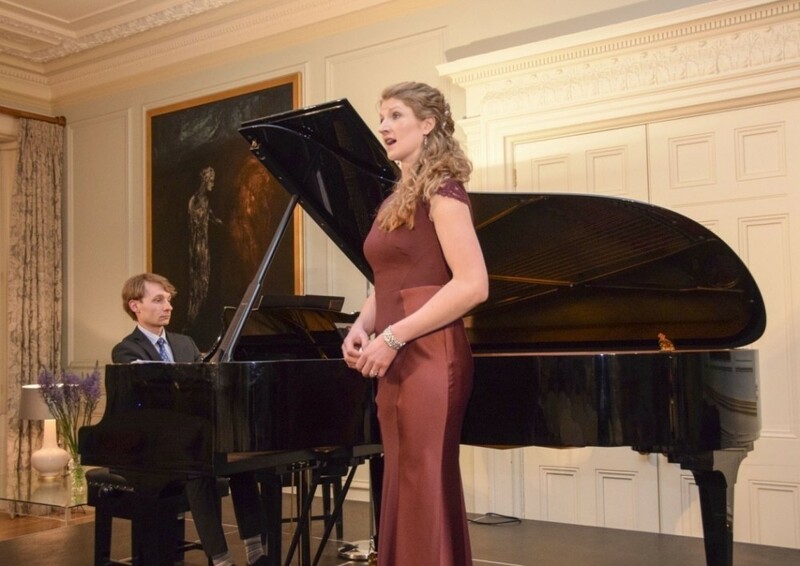 Whether you’re a Classical Opera fan to the core, looking for arias from Bizet, Verdi, Puccini and Mozart or a lover of Musical Theatre and all things Lloyd-Webber, there are singers ready to deliver a performance that will keep you and your guests talking for weeks. We even have Pop-Classical crossover acts for younger crowds, as well as standard classical crossover in the style of Katherine Jenkins, and you can also book duos, trios and quartets. One simple practical consideration is that if you have a very definite song list in mind, it would be worth checking it with your act, to make sure that all the songs you are so much looking forward to hearing are within their vocal range. You may also want to consider whether you would like any sort of accompaniment with your singer, such as violin or piano. Many singers have musical performers that they work with regularly, so do feel free to ask them for a quote that includes accompaniment. There is little that can compliment the emotion and beauty of that wonderful and special day like the glorious, soaring tones of an Opera Singer. They are an ever-popular choice for the bride’s entrance at the ceremony itself, where their skill and sophistication make the moment completely timeless, but equally can be a wonderful way to mark the end of the ceremony. Couples also often choose to have a singer after the main meal, as a way to mark and celebrate the moment, before the more high-energy dance-floor fun begins. If you’re looking to cause a real stir, really give your guests something to talk about and make your event unforgettable, then one of our Opera Singers will make the perfect choice. The power and dexterity of their voices can be truly breathtaking, making yours an elegant and enjoyable event that everyone will be delighted they attended. The great strength of these acts is that they can cover a huge range of musical genres with something to please all of your guests. For an 80th Birthday, they can bring back that bygone era with songs from the 1930s and 40s, or for a 50th why not have all those Musical classics, from Westside Story to Grease. For a twenty-something crowd you could try something truly original with a Pop-Classical act, or even ask your act to give their own twist to some contemporary hits. The only thing to consider, other than your song list, is whether you have a big enough room or space, since that super-powerful voice needs room to truly reverberate and set your guests spines tingling! Opera Singers can really fill a large space with their powerful vocals, so they are ideal for promotional events in larger areas, such as train stations and shopping malls. Singers voices can sometimes be drowned out in these bigger spaces, but if you really want to draw a crowd and create an attention-grabbing performance then a classical singer can be a winning choice and raise the roof. You can even adapt some classic tunes with lyrics that promote your brand! HOW MUCH WILL AN OPERA SINGER COST? Opera Singers will have been training in their art form for many years. In addition they need to practise daily as well as having regular singing tuition to develop their talent. For this reason very experienced singers can ask for premium rates, while singers with fewer years’ experience are more affordable. The quickest way to find the right Opera Singer in your area is to use our search function. Just add your location and click search to see a huge variety of acts to choose from. Our latest testimonials are also a fantastic way to start getting some ideas for your shortlist. With an Opera Singer, the perfect way to assess if they are right for you is to look at their genre and set-list and most importantly listen to their recordings. Almost all our acts have a recording available on their profile and the quality of their voice will shine through no matter how basic the recording. Once you’ve found your ideal act, just contact them direct! Even better, if you would rather entertainers came to you, you can request multiple quotes here, and this service is completely free! Booking an Opera Singer can make all the difference to your event, and we know we have exactly the right performer on here waiting to fill your party with wonder and smiles. We hope you enjoy your search but do contact us if you need any help. WANT TO RECEIVE A RANGE OF QUOTES FROM Opera Singers?